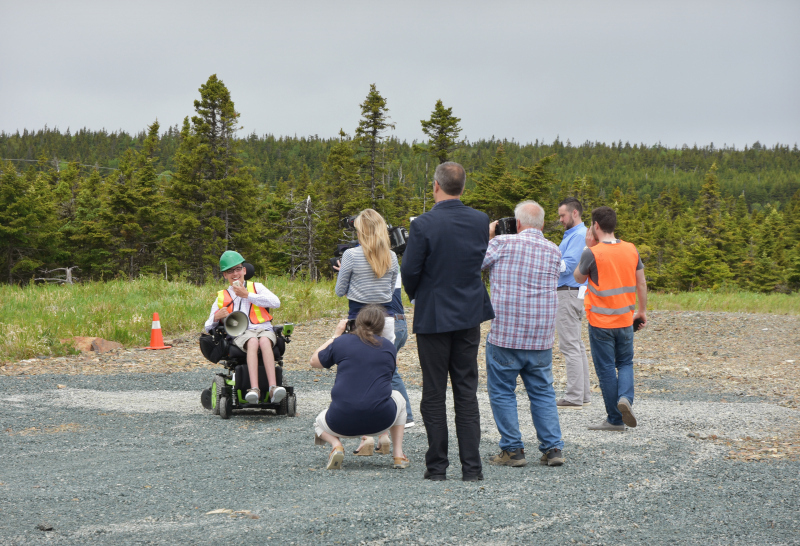 Easter Seals NL is building our province's first fully accessible and inclusive park and playground, and I can't even tell you how excited we are!! Playtime is important for ALL kids, and like all parents, I want my children to know the joy of play, but when your child has a physical disability, this can sometimes pose challenges. 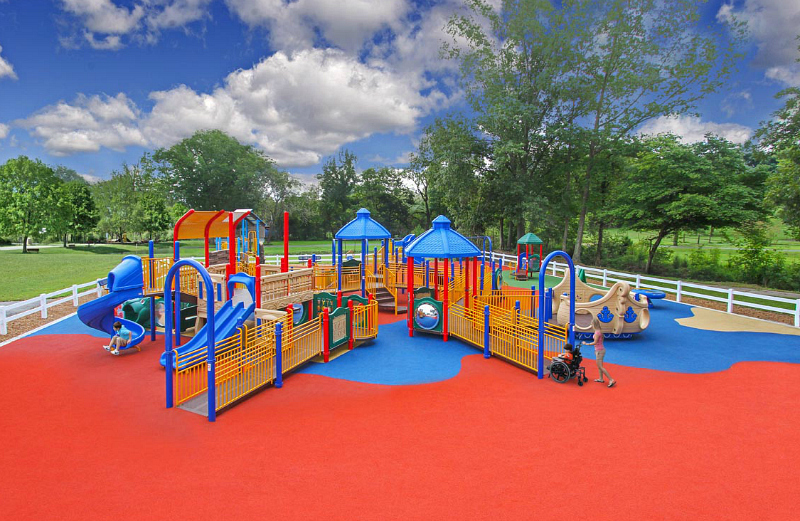 Most playgrounds are not accessible, meaning that the equipment is not easy to navigate by individuals with wheelchairs or other mobility devices. The pea gravel that is commonly used to surface outdoor play spaces is almost impossible to push a wheelchair through, and the majority of the play features are not usable by people with disabilities. The unfortunate reality is that playgrounds have traditionally been built without full consideration of the accessibility of all people. 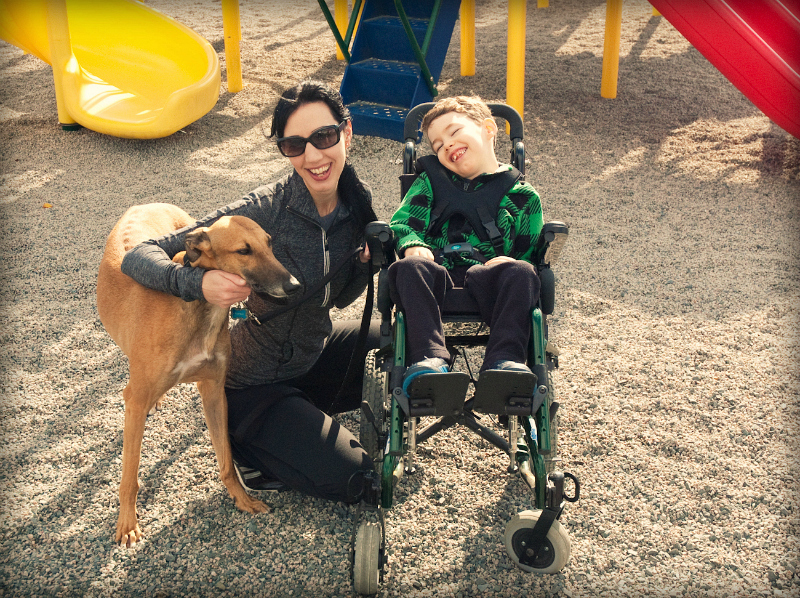 Easter Seals NL has plans to change the playground experience for families like mine. 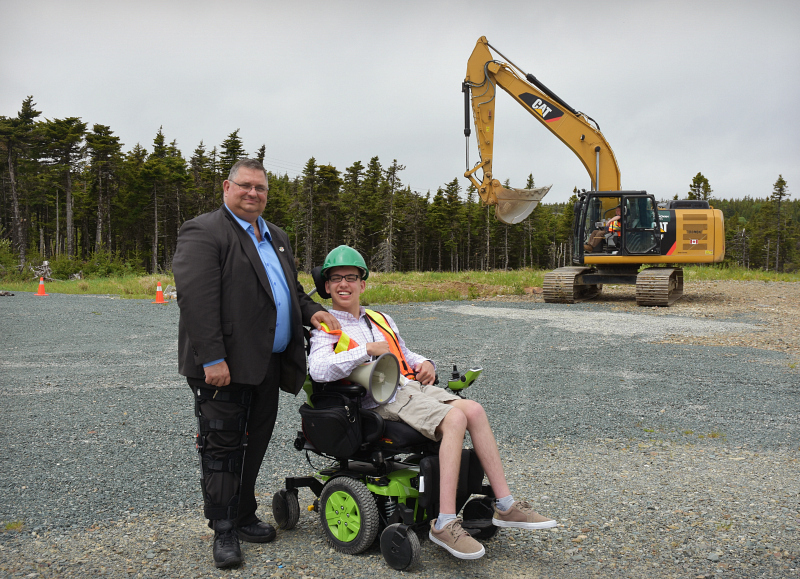 Located on the tranquil grounds of Easter Seals House on Mount Scio Road in St. John's, the new playground will be a place where persons of all ages and abilities can play together. 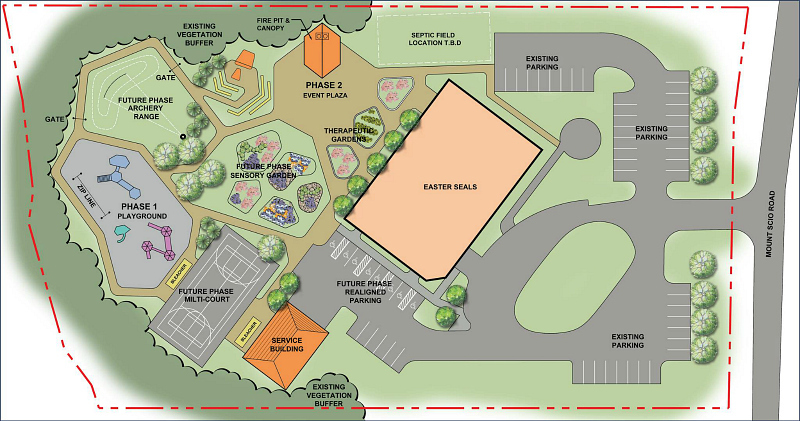 The plans include a sensory garden, amphitheater, multi-court and hockey rink, and a playground that features a wheelchair accessible glider, therapeutic rings, activity panels, and ramps to each play structure with double rails that allow for continuous gripping support, wheelchair turning areas and transfer stations. This is an artist's rendering, but can you even imagine??! 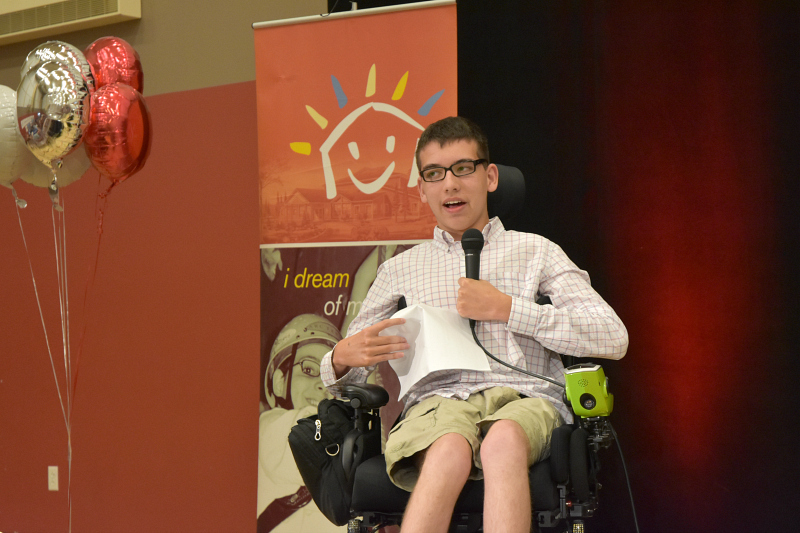 On June 21st, Easter Seals held a groundbreaking ceremony for all donors, sponsors, community partners and friends of Easter Seals! "A kid's work is play. 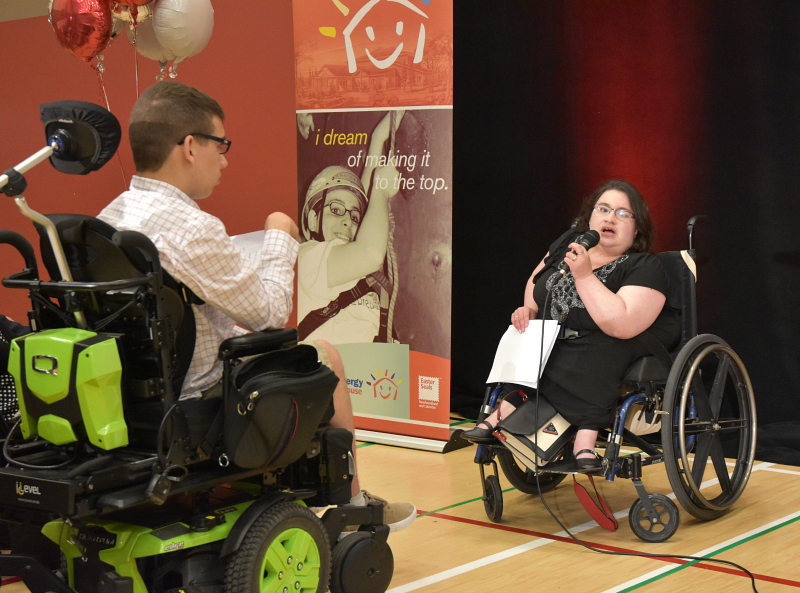 I remember when I was a kid, I used to have to be looking in from the sidelines, and this will let everyone get in on the action regardless of their disability. I would like to thank Easter Seals and the donors for making this dream come true!" Having an accessible playground means that it will be as easy as possible for everyone to play, regardless of their abilities or disabilities. 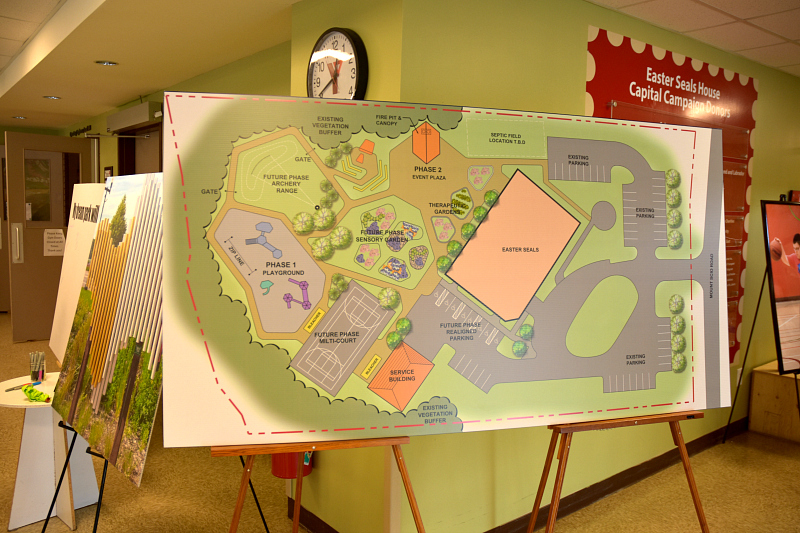 This playground will promote physical, cognitive and learning experiences that will enrich play experiences for all children. As a parent raising little ones in a technology-driven world, there is just something so appealing to me about old-fashioned play on an outdoor playground - the kind that encourages the social, sensory and interactive play that all children need. My parenting journey may not be typical, but I know one universal truth about raising kids - play is a key component of childhood development. All kids need to play. 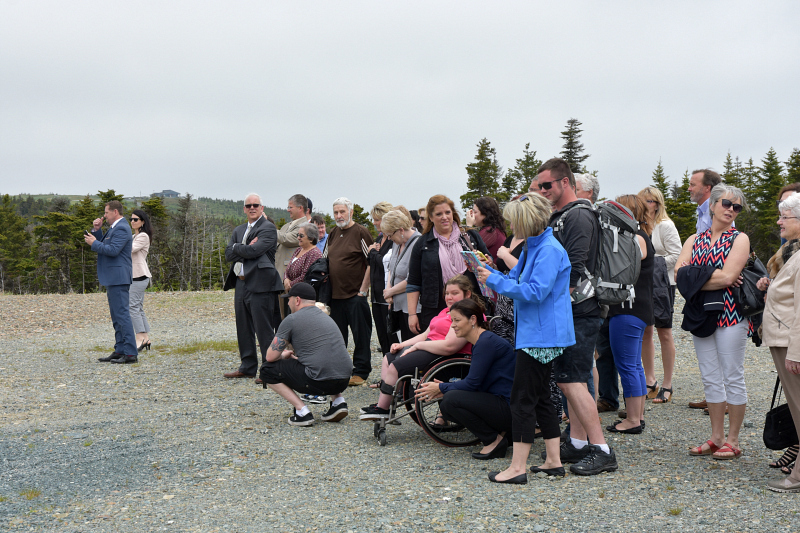 Please support the Easter Seals "See Ability in Disability" Capital Campaign to build Newfoundland and Labrador’s first fully accessible and inclusive park and playground!